I was considering not posting at all today as this week has been odd and the the ratio of my excitement about to the reception of these drinks hasn't exactly been what I would hope for. I could blame it on the holiday weekend, summer vacations, etc. but I get the impression that Fridays in the blog world have become the universal day off. What would you think if I moved these cocktails to Thursday? It's funny how much things have changed in a year. Looking back on when I first starting doing these last summer, I remember scouring pinterest for ideas and even worrying if I would be able to come up with something new each week. My process has changed so much. While I do still occasionally draw inspiration from pinterest, menus, and books, I mostly just open my fridge, survey the layout and come up with something based on what I have. 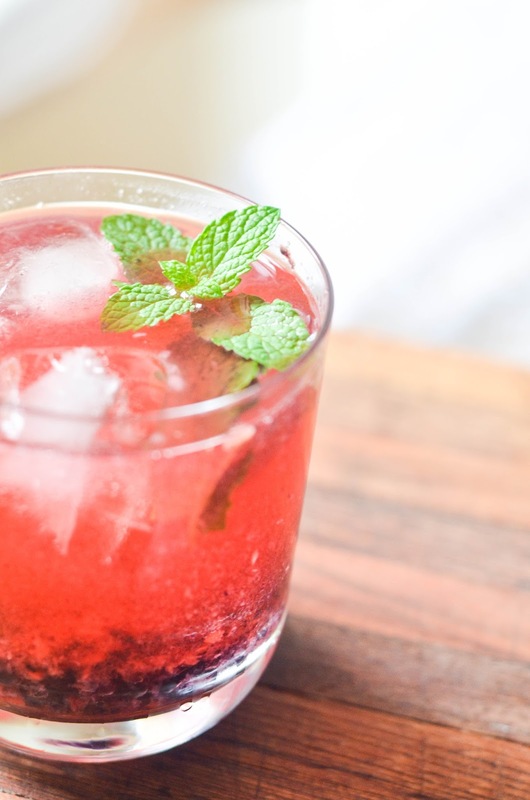 I've certainly learned a lot, the most important lesson being that it is insanely easy to make your own "fancy" cocktails at home. 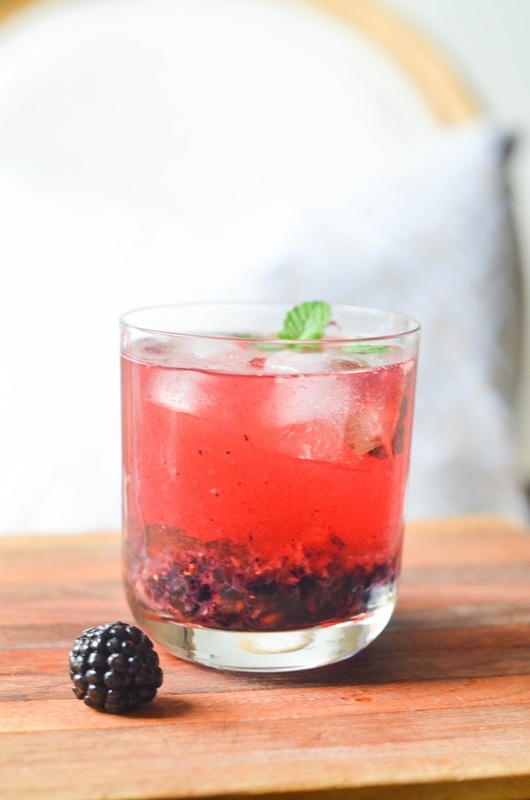 I bought blackberries last weekend and have been incorporating them into my meals all week long. On Monday I mixed them into my yogurt, plated them with sliced mango for dessert on Wednesday, and tossed the remaining on top of a summer salad yesterday. A drink was a no brainer. I love fizzy drinks in the summer, there's something so refreshing about them. This one is light and just the right balance of tart and sweet for me. 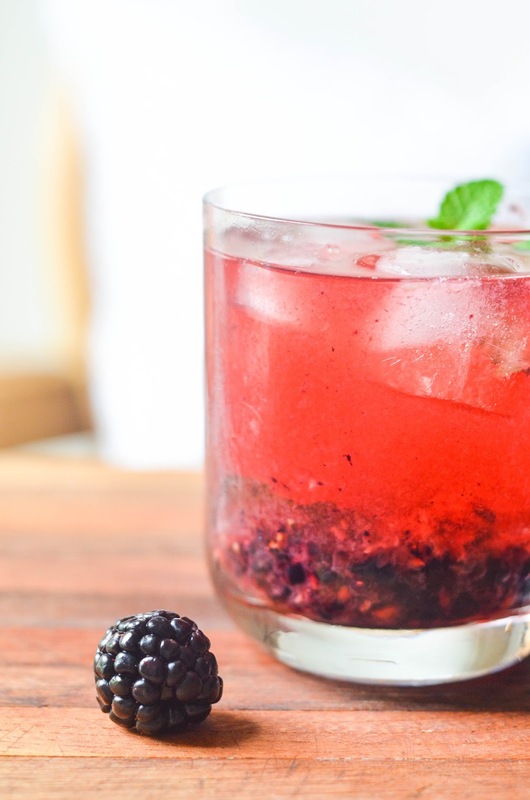 The very best part may be that it tops out around 150 calories, another perk of making your own drinks! As delicious as they are, a lot of those frozen concoctions will cost you. Drinking bushwhackers on the beach in Tortola is one of our favorite pastimes, but at 500+ a pop it's no wonder why there's no room left for lunch, but I digress. 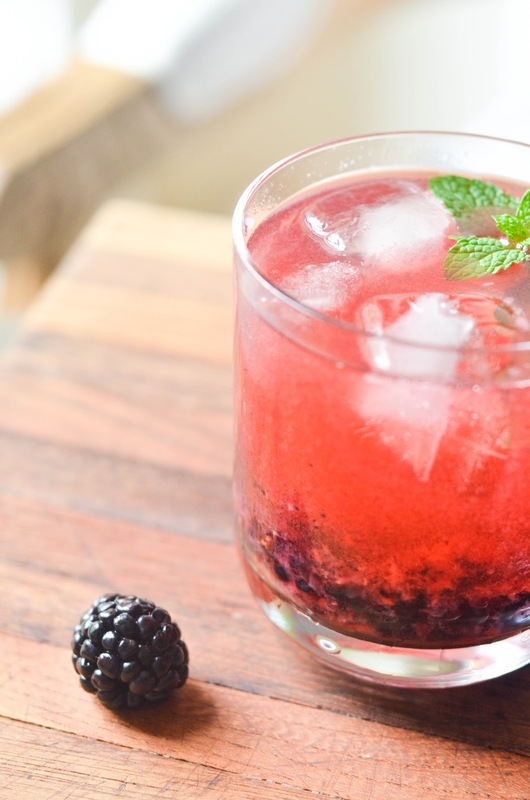 In a large glass or shaker muddle blackberries and mint with gin and lemon juice. Add sugar and stir until dissolved. Top with soda water. Pour over ice (straining is optional depending on if you like the fruit at the bottom of your glass). 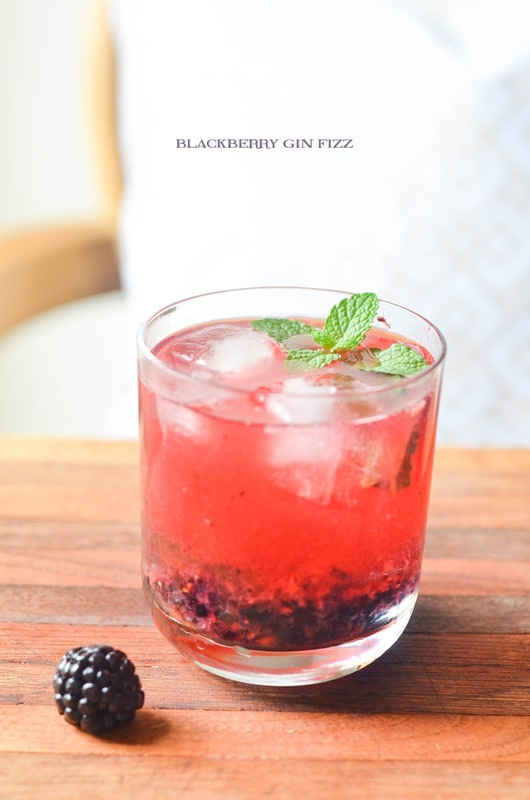 Garnish with mint, blackberry, and / or a slice of lemon if you please, enjoy! This sounds very refreshing!! I love fizzy in the summer too! Your pictures are amazing!! Ooo girl this sounds so good, gimme some of those blueberries! I vote for keeping them on Fridays, I hate reading all of the "Friday Fives" and link roundups - good to see some real content!